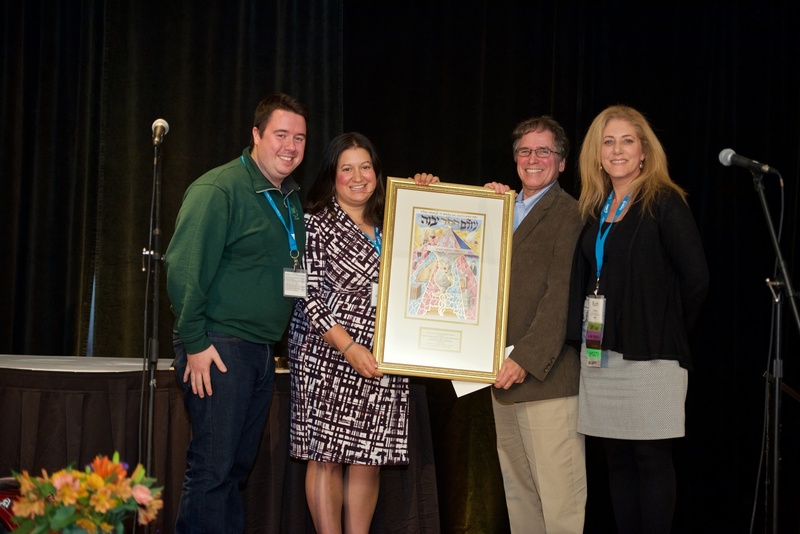 It happens every year in the beginning of November in Springfield, Massachusetts, and Camp Interlaken has been a part of it for the last eight years! Harold Grinspoon gathers 407 of his nearest and dearest colleagues representing 115 (plus or minus) North American, Jewish camps. Together, directors, board members, development directors, and marketing professionals spent 24 hours learning and sharing best practices, ideas and challenges that sparked the conversations that propel us forward to excellence. This year, we had quite a large group of people representing the Harry & Rose Samson Family JCC. Lenny Kass and Shelby Kass represented Rainbow Day Camp. Ruth Wallace, the JCC’s Development Associate, and Chad Tessmer, the JCC’s Chief Marketing Officer, represented both Camp Interlaken and Rainbow Day Camp. Lastly, Jonah Wagan, Mitch Moser, and I represented Camp Interlaken. The best part about being together was to reconnect at meals at our table and debrief the sessions we had all just attended and share all of the ideas that those sessions sparked for us. Jonah, Toni, Mitch Kupperman and Ruth Wallace pose for a photo with Camp Interlaken’s award. The JCamp180 program is a program of the Harold Grinspoon Foundation with a goal to significantly enhance the long-term effectiveness of Jewish overnight and day camps that engage young people in meaningful, Jewish cultural and educational experiences. JCamp180 doesn’t just fund our capital improvements, but they have taught us how to create strategic plan, develop a facility plan, strengthen our Camp Committee, and increase our donor relationships through effective stewarding. The JCamp180 program also introduced us to the Legacy program, taught us how to build this program for Camp Interlaken, and helped us grow our legacy program to 80 members so far. JCamp180 has also encouraged us to raise funds with challenging match programs that Camp Interlaken is proud to say that we have met! With the help of a mentor and the excitement of our lay leaders, being a part of JCamp180 has been an incredible experience at opportunity for Camp Interlaken. 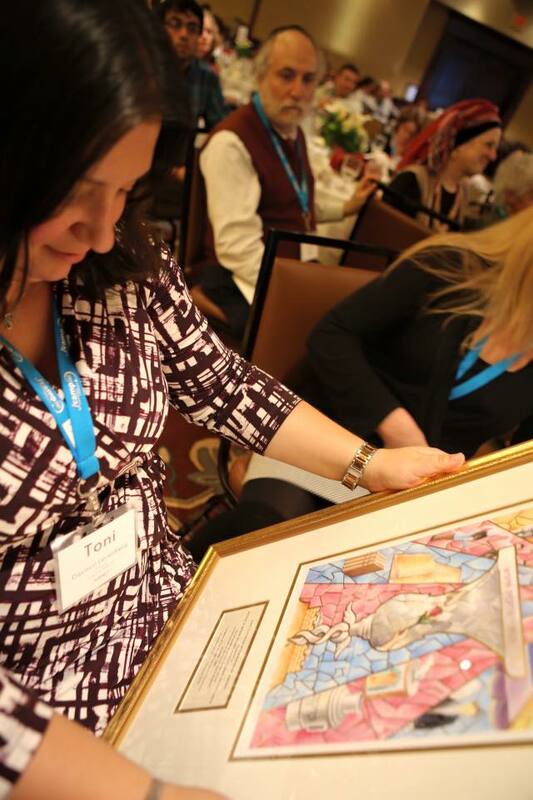 Toni admires Camp Interlaken’s award that doubles as a beautiful piece of Jewish art. I proudly accepted this award on behalf of Camp Interlaken and thanked Harold Grinspoon for his vision as well as both Mitch Kupperman and David Sharken for incredible mentorship to create this program. It isn’t easy to talk to people about end-of-life gifts; in fact, it sounds quite horrible and morbid. Through learning, training, and understanding, we grew comfortable to start talking about it with our constituents; they were much more open to learning about this and committing to legacy gifts than we expected! We soon realized that the Legacy Program was an awesome way to engage our young alumni who weren’t able to contribute financially now to Camp Interlaken. Of course, it is still our job to continue to steward and maintain positive relationships with all of our Legacy Members over the years. Our team, as well as our Legacy Circle Members, have realized that Legacy is really an opportunity to partner in a shared vision of the future of Camp Interlaken. We aren’t quite finished… we would love to continue to grow our Legacy Circle even larger and continue to assure the future of Camp Interlaken for generations to come. We also will be creating a new strategic plan for the next five years together with our camp committee. We will look at recruitment and enrollment, alumni engagement, annual fundraising, program, staffing and more as we build the best future for ourselves, our children, and their children.